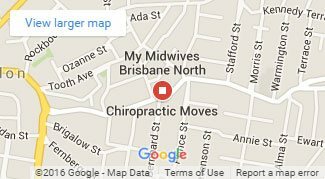 At Chiropractic Moves, Brisbane – Paddington, our Chiropractors are experts in the fast and effective relief of back pain, neck pain and sports injuries for all ages. We aim to help our patients achieve their body’s full potential through Chiropractic care. We are dedicated to providing the most up to date and effective treatment techniques available, in a friendly and relaxed environment. A Chiropractor is an expert in the natural and drug free treatment of common spinal complaints like low back pain and neck pain. But did you know Chiropractors treat injuries such as sprained ankles, patello-femoral pain, shin splints, rotator cuff injuries and carpal tunnel? Our team work with all age groups and have a passion for nurturing growing families. If you would like an appointment you can use the book online button on the right the side of the screen, call us on 0404 717 488 or send us an email at info@chiropracticmoves.com.au and we will be happy to help with all enquiries.